Bonnaroo’s Roo Clue Number 10! So Roo Clue 10 feels like a bit of deja vu. Last week’s Thursday clue, Purity Ring, came right at the same time as our coverage of the band’s Nashville performance. Then, this week’s Thursday clue came the same day in which we announced that the artist in question was set to perform in Nashville. Interesting coincidence, but it is quickly becoming tour season, after all. For this clue, I had to again take to the collective clue obsessive super-sleuths of the internet for a bit of help. It turned out to be another easy one, the answer’s just an artist I’m not as familiar with the personal details of (hey, you can’t expect me to know everything). Once I did a bit of digging, I confidently believe that the answer could be no one but FATHER JOHN MISTY. We did announce yesterday that the singer is playing Nashville in May, which is awfully close to Bonnaroo, but I’d think the festival could make an exception on their no-play clause under certain circumstances, especially for a singer so well-liked by the ‘Roo crowd. Not to mention, FJM’s Nashville show is being promoted by AC Entertainment, who co-produce Bonnaroo, so it’s not a stretch to think they’d be a bit more lenient. “A writer now done” – Shortly after departing Fleet Foxes and while adopting the Father John Misty moniker, J. Tillman went on a mushroom-fueled road trip which turned into the singer writing a novel. That novel then gave way to his last album, Fear Fun. Not only is Tillman done with the novel writing, but also done with Fleet Foxes (his biggest claim to fame) and he’s a singer and songwriter. “Inspired by pastoral moves” – This could be a literal reference to the name Father John Misty, as father is a synonym for pastor. It’s also well-documented that Tillman was raised in a staunchly Christian household. “From East to West” – Tillman is from Baltimore, and previously played in east coast band Saxon Shore, but moved west for his career. He’s most associated with Seattle band Fleet Foxes and has toured with many other prominent northwest artists. Father John Misty is already confirmed to play Coachella, and we already know that many of the smaller to mid-sized Coachella artists are already set to hit ‘Roo as well. 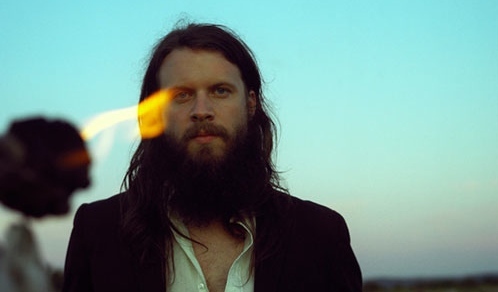 Finally, here’s the kicker: FJM is playing Louisville 6/12 then St. Louis on 6/14. Dead giveaway! If I had to guess, and this is purely speculation, but I’d think a handful of individuals marketing for Bonnaroo are in charge of creating these clues. Now that we’ve made it to the double digits, I’ve noticed a bit of a pattern: certain ones are more literal and straightforward, with each line being simple fact or trivia, while others are designed to be more vague or interpretive, with each line bearing double meaning and weaving around one another. This clue, like a couple before it, is more straightforward and, thus, easier to call. Who’s excited for FJM at the farm? Here’s my answer to #11 I’m just pumped I figured it out on my own. I’m soooooo smart. Because: the haiku was posted on one of Johnson & Wales campuses. They are most known for their Hospitality & Food programs. Their main campus is located in Providence, RI. Providence is the home to producer Joe BEATS. Beats is half of the duo Non Prophets who have an album called HOPE.